So for the first month or so of our client project we was working on smaller assets and researching because we didn’t have any correct measurements to start building the larger assets. But last week we got the map blocked out with relatively accurate measurements, so each person chose a building to model so we could start getting them in the engine because we don’t have loads of time left. 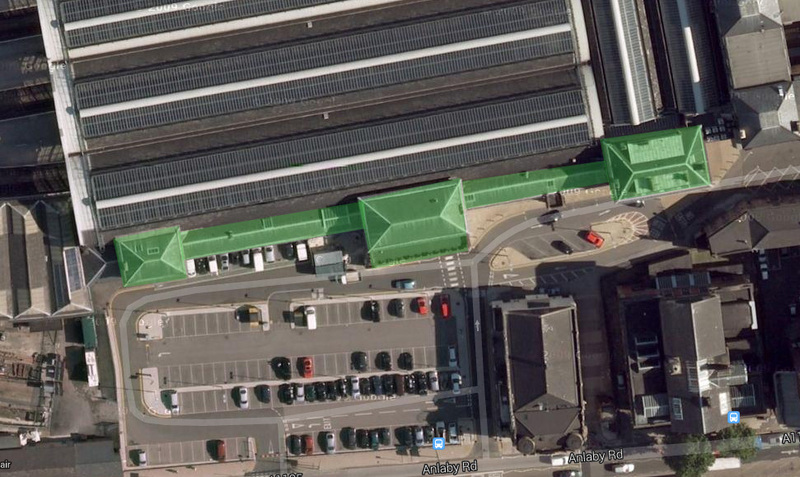 I decided to do the anlaby road side of the station which is the highlighted section below..
It’s a pretty big section to do and defiantly the biggest model I’ve ever had to create so I wasn’t really sure where to start. 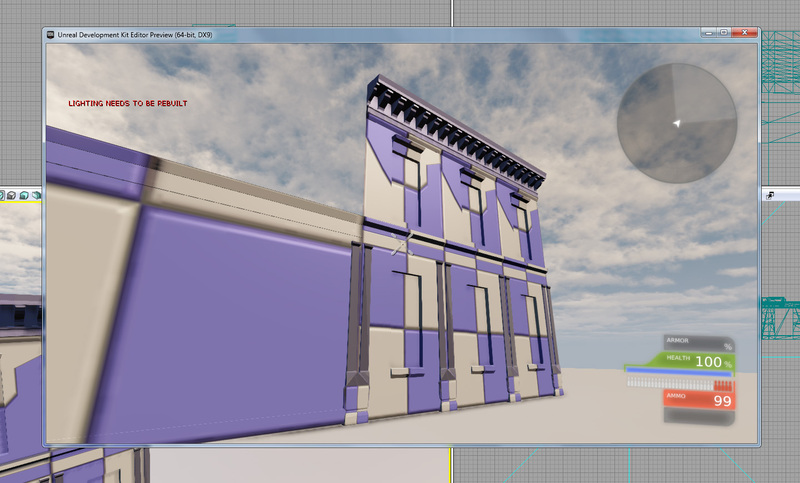 But Paul showed us a tutorial on asset workflow for modular level design, which is basically to model small pieces of a large object that are repeated then just copy them. To do this properly you have to make sure the corners of the models snap to grid because then they will also snap to grid in UDK meaning you won’t have any gaps in between them. Shown below is how I split up the first section.. Creating assets modular allows you to texture each part separately using different UV’s so you can get way more detail into a larger model, If I created the full side of the station as one model the texture would have to be on one UV. Below is how far I’ve gotten..
I’ve been building from the block out version that is in UDK and roughly to the correct scale, I’ve done most the of the bottom floor now but there is still a lot to do. I put the first section of the station into UDK to see if it snapped together properly and looked scaled correctly. 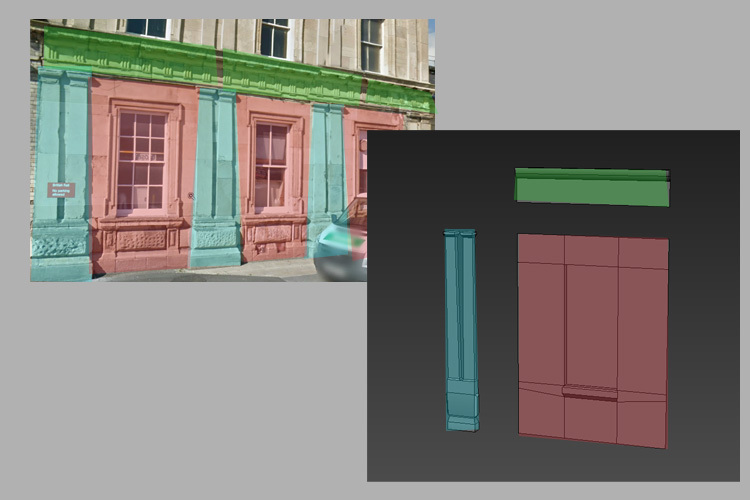 The snapping did work fine and the height looked to scale but the columns looked a little bit thin so I need to increase there size and the windows are maybe a bit small in width so need to increase there size as well. I’ll hopefully have the model done by the end of this week so it can be put into the map to check that it looks okay and then if so it can be unwrapped and textured.